If you are looking for a diet that will help you lose weight, fight inflammation, and slow the signs of aging, then the inflammation-free diet plan might be for you. This diet is flexible and nutritious and could add years to your life. Researchers have found that inflammation produced at the cellular level is the basis for many common diseases. Monica Reinagel, author of The Inflammation-Free Diet Plan, explains how you can calculate the IF Rating (Inflammation Factor) of the foods you eat. The diet is based on the idea that various foods have an inflammatory influence on your body; some foods contribute to inflammation while others suppress it. Through a self-assessment and various calculations, Reinagel helps you find your ideal IF number for any specific health issues you may be experiencing. IF Ratings of 1-100 are considered to have mild anti-inflammatory properties. IF Ratings between 101-500 are considered to have moderate to high anti-inflammatory effects on the body. 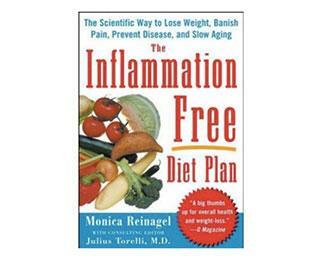 IF Ratings above 500 have the strongest anti-inflammatory effects on the body, considered potent and almost drug-like. IF Ratings of -1 to -100 are considered to have mild inflammatory effects on the body. IF Ratings of -101 to -500 are increasingly inflammatory to the body. IF Ratings of -550 or lower have potent inflammatory effects on the body, and should be limited. Several foods outlined in The Inflammation-Free Diet Plan have an IF Rating of 0, meaning they do not combat or promote inflammation within the body. Examples of these include spring water, instant tea, espresso, coffee, cider vinegar, etc. Through the help of the USDA nutritional database and other extensive nutritional references, The Inflammation-Free Diet Plan shares the IF Rating of thousands of food items. In fact, the book contains 135 pages of charts and tables of almost every food you can think of. Your Health and Family History - This area calculates inflammation in your body as related to specific disease. You will be asked if you have a history of inflammatory conditions such as Rheumatoid Arthritis, Asthma, Lupus, Allergies, Diabetes, Osteoarthritis, etc. Are you a smoker? Is there a family history of cancer or heart disease? Those who answer "yes" to these questions have an increased risk for inflammation. Symptoms - The next segment analyzes any symptoms you may currently be experiencing, such as joint pain, wheezing, premature aging, runny nose, swelling, etc. Symptoms such as these suggest increased inflammation in your body. Your Personal Calorie Requirements - This last section explores your daily exercise routine, the frame size of your body, your current weight, etc. 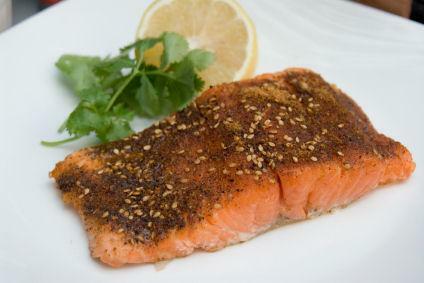 Consult your physician before starting a new diet plan or to discuss concerns about inflammation within your body. Originally published in 2006, The Inflammation-Free Diet Plan has helped many people lower inflammation throughout their body, while also helping others lose weight and become healthier. The book doesn't suggest any foods be eliminated, but rather encourages readers to balance foods in their diet by their IF Rating. The idea behind the inflammation-free diet is simple: adjust your diet to include more anti-inflammatory foods, and your body will produce less of an inflammatory response. Join the millions of readers who have learned how to stop inflammation from slowly destroying their body, and get on the road to a healthier and more vibrant you. Learn more about Monica Reinagel and The Inflammation-Free Diet Plan by visiting Nutrition Over Easy.